Shimoji-jima is an island made by the raised coral reefs. 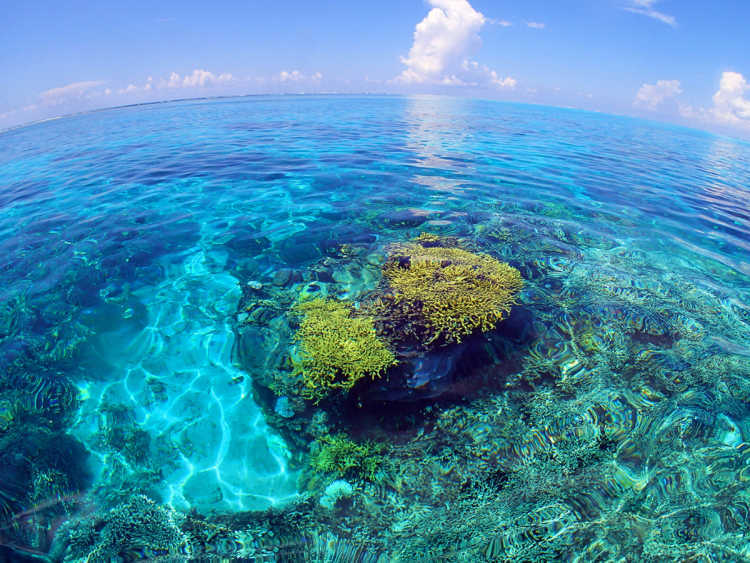 The sea is so clear that you can see the colorful corals even above the water at the shoal reefs. At low tide, the corals are about to show their faces from the water surface.